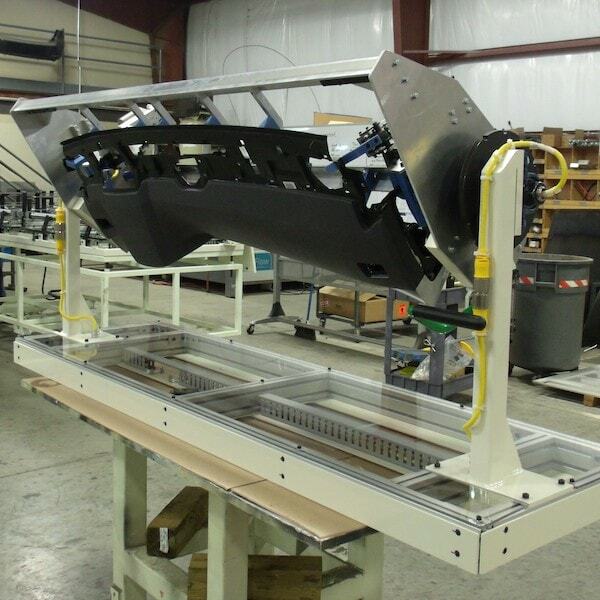 Assembly Equipment | Action Equipment Solutions, Inc.
AES designs and builds equipment to support assembly processes. Parts to be assembled are positioned by custom nesting details. 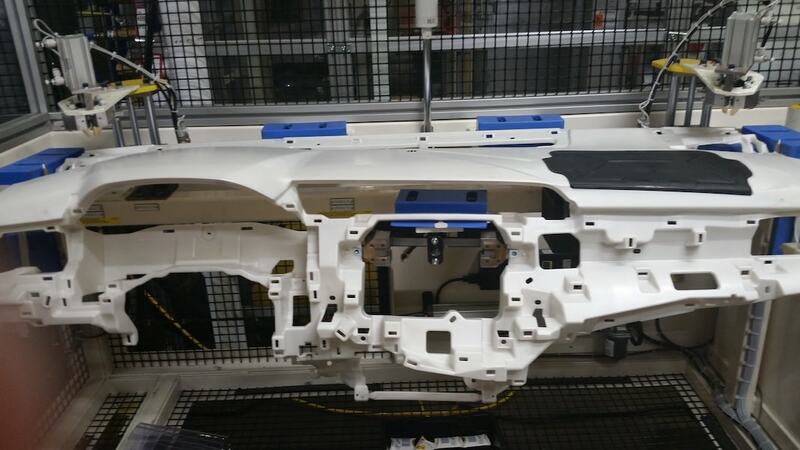 Detail material is selected to ensure no damage to parts being assembled. 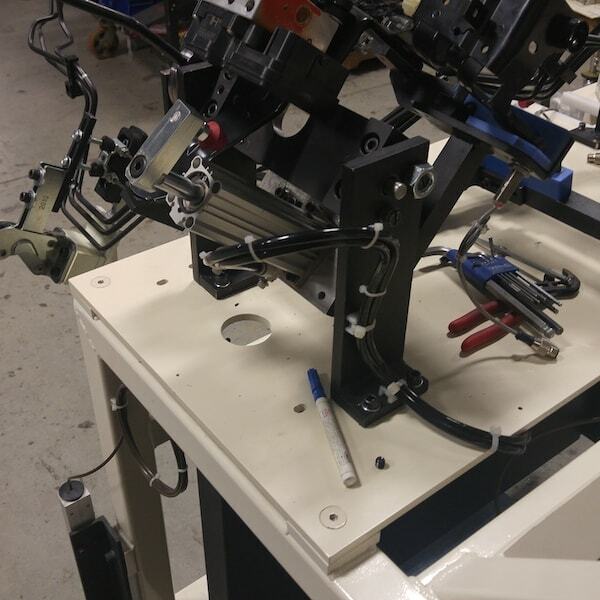 Parts can be held in place by manual, pneumatic or electric clamps. Rotating jigs can be designed to easily access any side of a part. Fastening tools can be integrated as needed. 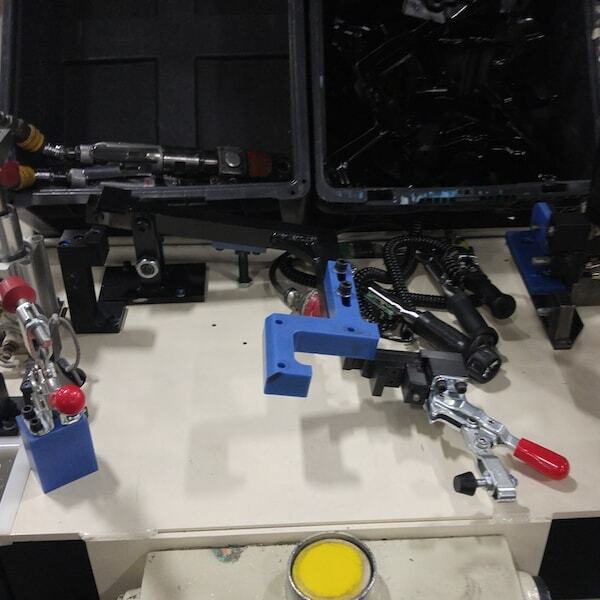 The assembly of parts with multiple variations can be accomplished.